Study Russian abroad visa free! No visa travel applies for citizens of the EU, USA, Mexico, Japan, Korea, Brazil and many other countries. Escape the bureaucratic procedure and travel free! Architecture – a unique mix of romantic streets of Old Riga, standard Soviet-style block, the elegant and world-famous architecture of Art Nouveau houses, modern shopping centres and stylish New Age architecture. Culinary Delights – spoil yourself a little with all the great and fantastically delicious food with a great mixture of Russian and Latvian eating traditions. Seaside Jurmala – this place in Latvia with 33 km of white sandy beaches and green piney forests has been famous for centuries. 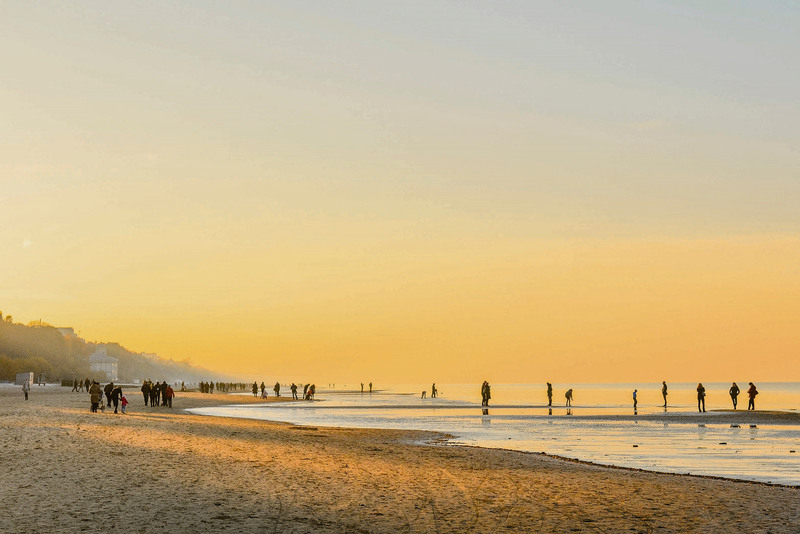 With its lovely seaside resort Jurmala is number one place to spend a holiday in! Country of Castles – you can only imagine the number of castles in Latvia. Try to explore at least some of them for cultural immersion! Nature – hundreds of blue lakes and rivers for fishing, green forests for hunting and picking mushrooms, seaside locations for relaxing, parks with wild horses, flowers, healing plants – enjoy them all in the fresh Latvian air! Giulia Luoni, ITALY: “Latvia is a surprise! I am really happy with my decision to study here. I had the chance to discover this beautiful and colorful country! Moreover, the city centre is outstanding, the local people are so nice and I feel like home!”. Some gallery photos are the property of LIAA. Latvia is situated in the North of Europe with easy access to Scandinavia, the UK, other places in Europe and the rest of the world. Moreover, since 2004 Latvia is the member of the EU, so here you can feel safe and at home. Citizens of more than 60 countries (including all EU citizens) do not need a visa to come to the course and while staying here they can visit St. Petersburg or Moscow during weekend trips as these cities are just across the border. Choose Latvia to study Russian in Europe. Almost half of Latvia’s population is native Russian speakers and most of the population speak Russian fluently. 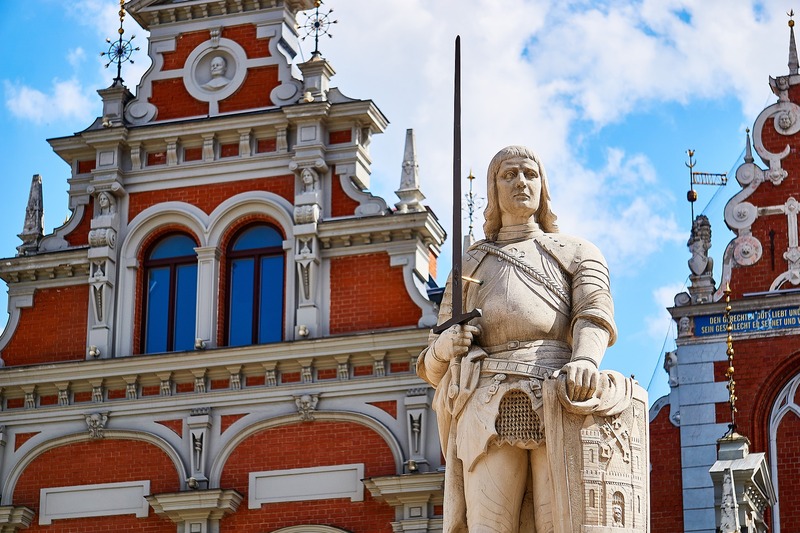 The history of Russians in Latvia is quite long – about a thousand years. It started when Russian merchants came here for an access point to the Baltic sea and afterward gained control over Latvia. In the year 1941 Latvia became a part of the Soviet Union where the only official language was Russian. In spite of the fact that Latvia gained its independence in 1991 and the Latvian language became the official language of the country, the Russian language is important in everyday communication, thus ensuring a good place for language practice for foreign students. Latvia’s famous resort city just 30 minutes away from Riga by train or minibus. Jurmala’s seaside is enjoyable year-round. Walk along the beach on the fine white sand, breathe the fresh sea air, enjoy lunch or dinner at one of the cafes or buy some Amber jewelry at one of the small shops. Visit the “Switzerland of Latvia” with its picturesque scenery – a favorite place for recreation among locals and foreigners. It is located only 53 km from Riga making it an easy day trip. Balloon riding and bungee jumping in summer, ski and bobsleigh tracks in winter, charming scenery in autumn – each season here has its own charm. 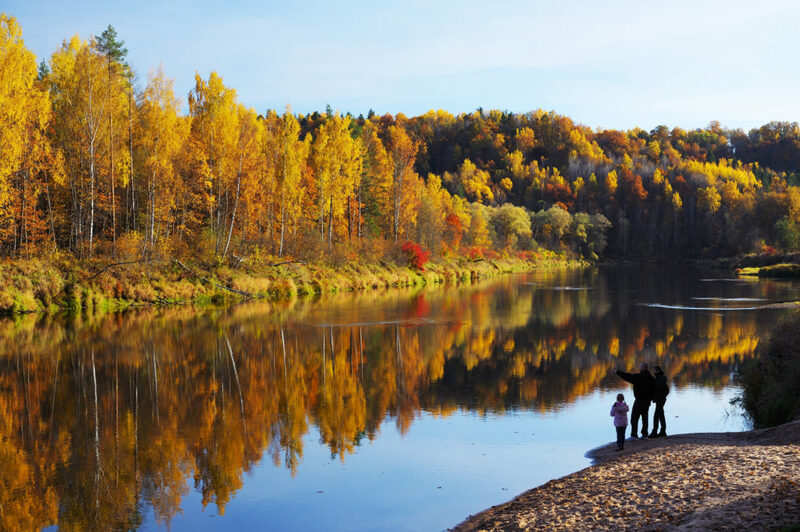 The city is included in the Gauja National Park – a unique natural complex created by a geological process – there is nothing else like it in the Baltics. 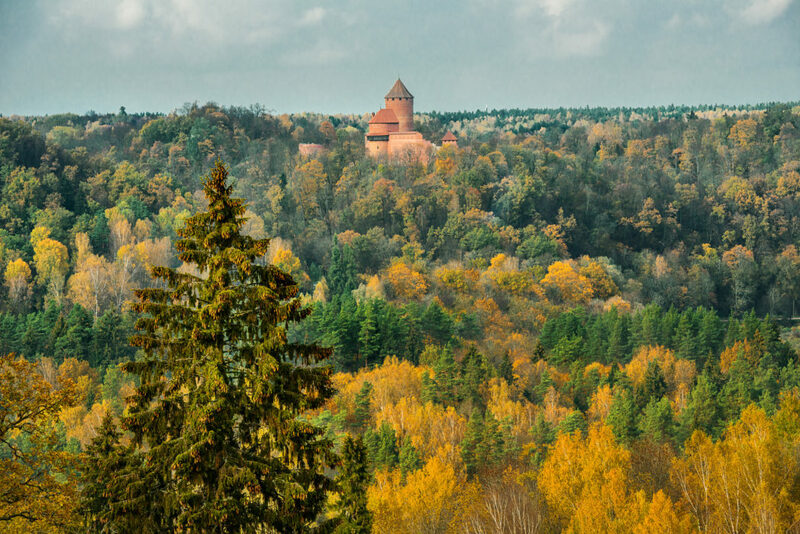 You can visit the Sigulda Castle and castle ruins. On a clear day you can see the surrounding landscape from the tower. Not far from the Castle, you can see the Sigulda castle ruins. You can also visit the legendary Gutmana cave which is at the foot of the steep Rata Hill and is by volume the largest cave in the Baltics. The Rundale Palace – a marvelous architectural and historical monument was designed by and built under the supervision of the outstanding Italian architect Rastrelli. He was the one who designed the Winter Palace and some of the most beautiful manors in St.Petersburg, Russia. 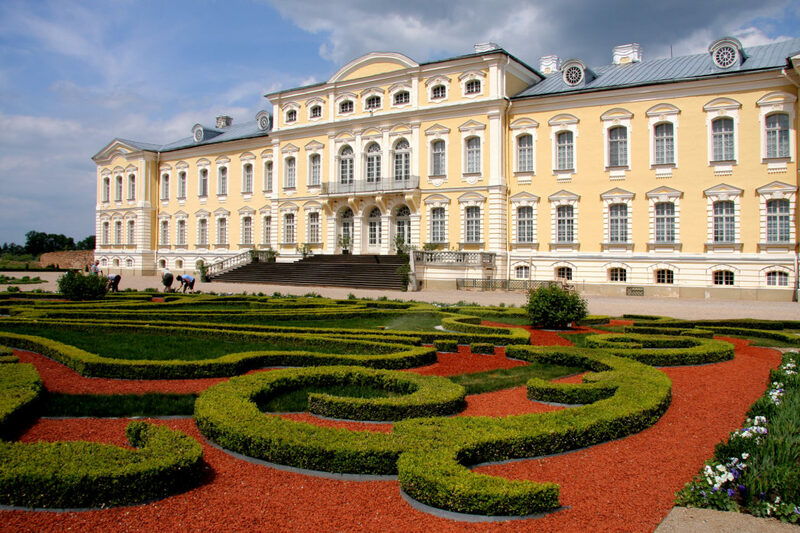 The Rundale Palace has 138 premises surrounded by a lovely Baroque park. You will find there the ornamental parquet, three pools with a fountain, the green theatre and Dutch and Blue Bosquet. The Palace has been recently renovated and now welcomes guests with even more great sights! 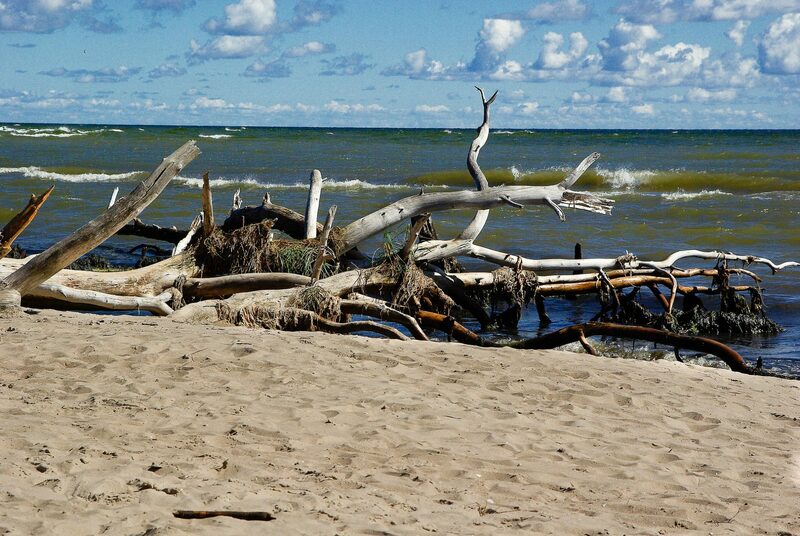 Moreover, there are other travel destinations of Latvia undoubtedly worth visiting. Ligatne National Park offers untouched nature and a soviet-time secret bunker. 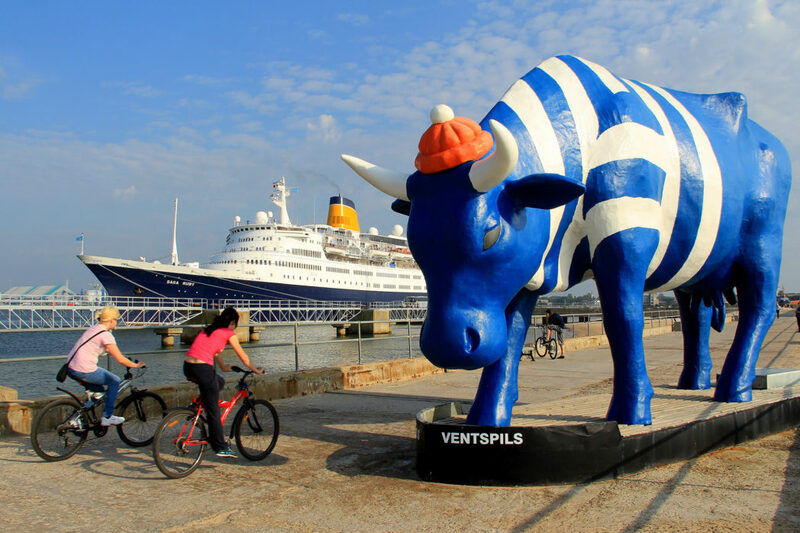 The modern and beautiful city of Ventspils is ready to entertain everyone all the year round, and many others. Moreover, visiting the other countries during weekends would be a brilliant suggestion. There are many possibilities for exciting weekends or days out. Tallinn, the capital of Estonia, is called the pearl of medieval Europe. It is about 5 hours away from Riga by bus. The city is famous for its Old Town which was entered into the List of International Heritage of UNESCO in 1997. Islands Saaremaa and Muhu in Estonia have been famous for their curative mud since the ancient times. There are a lot of places to see and to relax at in Lithuania even for the most captious gourmand. Go to Vilnius and take a look at the roof of Old Town from the surrounding hills. It is a marvelous sight that becomes forever engraved in the hearts of tourists. Visit Palanga resort that stretches as a picturesque strip along the sea. The Trakai insular castle, the only fortress built on water throughout the whole of Eastern Europe, is also worth visiting. 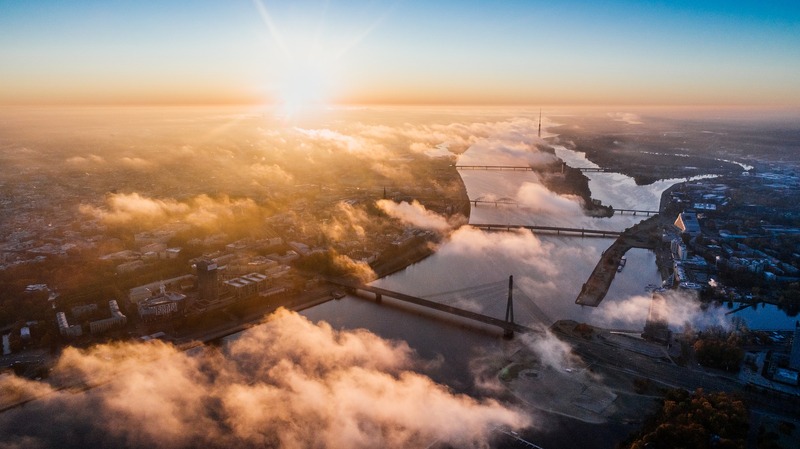 Within easy reach of Riga is also St. Petersburg – a city of haunting magnificence and the city centre is also a UNESCO World Heritage Site. The cost of the trips to the places of interest is not included in the price of the course, however, Russian Language Academy Durbe would be pleased to offer their help in arranging any of those. Gallery photos are the property of LIAA.